Insight Garden Program – Connection through nature. 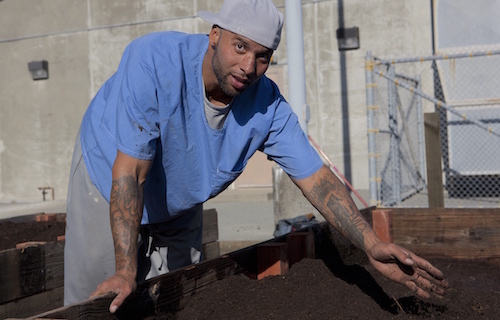 Insight Garden Program transforms prisoners’ lives through connection to nature. Learn more about the Governer’s Environmental and Economic Leadership Award (GEELA) by clicking here. 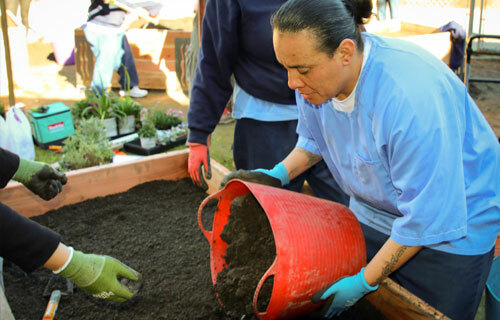 IGP facilitates an innovative curriculum combined with vocational gardening and landscaping training so that people in prison can reconnect to self, community, and the natural world. 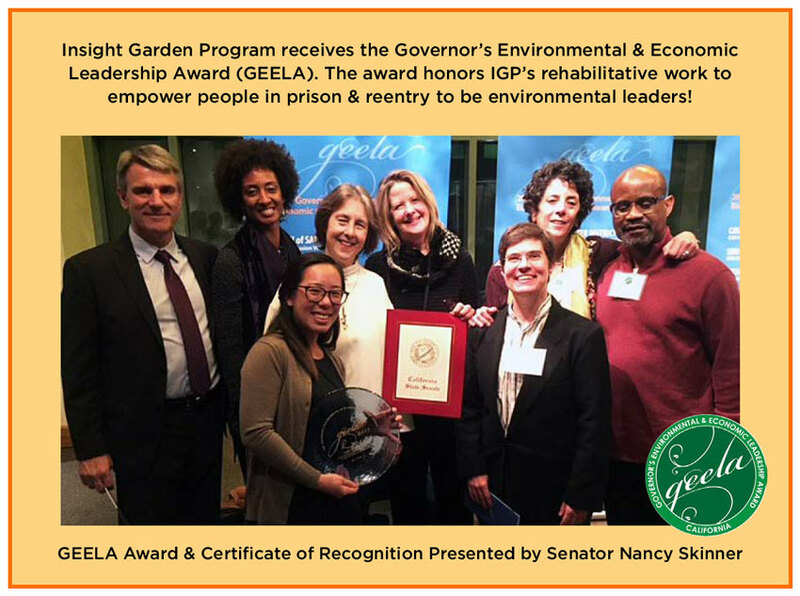 This “inner” and “outer” gardening approach transforms lives, ends ongoing cycles of incarceration, and creates safer communities. 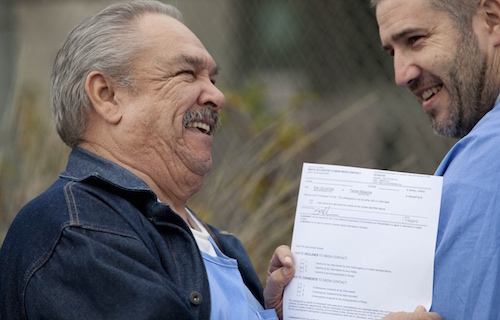 Our model is a real solution to some of the most pressing issues impacting prisoners and people in reentry. We are now at an exciting crossroads in our evolution – expanding throughout California and nationally! With the United States spending more than $80 billion/year nationally on the prison-industrial complex, we can’t afford not to do this work. We use a participatory and holistic approach to change. Expanding to more prisons in California and nationally. IGP participants successfully reenter society.